Located on the beautiful campus of Hillside School, a boarding and day school in Marlborough, MA, approximately 30 miles from Boston, Hillside Summer is dedicated to running one of the best summer camp programs in the area. The high quality of our summer program is built on the high quality of our team - counselors, teachers, specialists, unit leaders, nurses, and dorm parents. Our team is composed of Hillside’s faculty and staff, teachers from the local community, professionals in their fields, and college students with experience working with children. Our staff’s attention to detail, professional skills, and passion for working with young people and delivering customer service ensures a summer full of meaningful and enriching experiences. 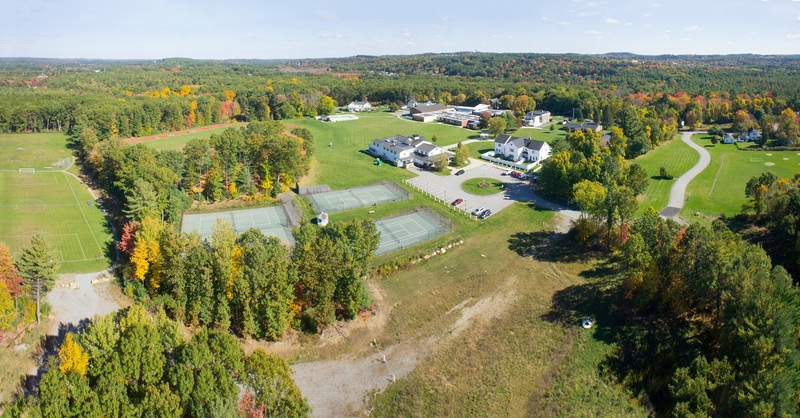 150 acres of land, Hillside classrooms, dining facilities, full working farm and greenhouse, six dormitories, pool, top-tier athletic fields, a brand new challenge course, and state of the art Innovation Center. At Hillside Summer, safety comes first. Our staff participates in extensive training in preparation for their work with campers. Low camper-to-staff ratios make quality supervision possible at all times. Swimming instructors are lifeguard certified, and camp staff are trained in first aid and CPR. Hillside Summer also has a nurse on staff each day. Good nutrition is a key component of our food program. All meals are prepared on campus by our amazing chefs and dining team. Our kitchen serves meals buffet style and our dining hall seats 8-to-a-table. Meals are an important time to come together and reflect as a camp on what has been experienced and what lies ahead. Announcements, songs, and getting to know campers from other programs add to a social element of camp which the Hillside Summer Staff values to the utmost. All meals are included in our overnight programming fee as well. As parents and educators, we understand the dynamics of family and believe it is important that the entire family is part of the Hillside experience. Hillside Summer recognizes working families and will offer a morning and afternoon care program. Personal tours can be scheduled anytime by contacting the Camp Office at (508) 481-5217 or emailing Hillside Summer at hillsidesummer@hillsideschool.net.